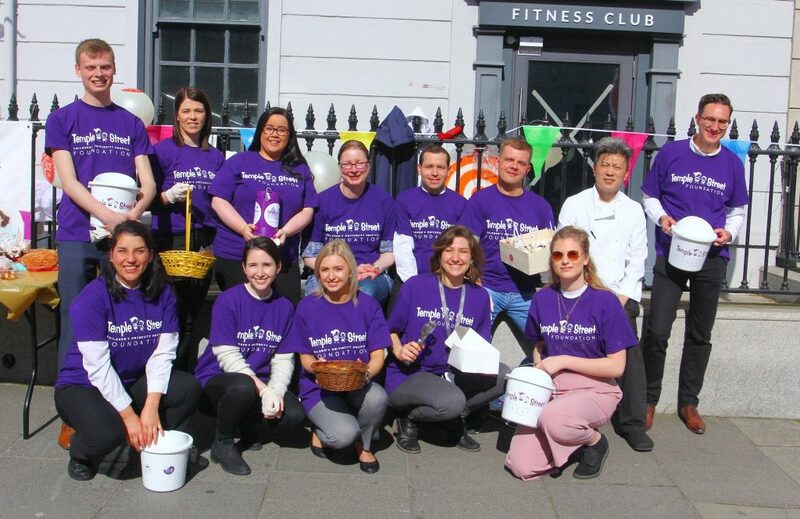 On Friday, April 20th 2018, the O’Callaghan Collection continued a long-standing tradition of participating in the Great Irish Bake Off to aid Temple Street Children’s Hospital. 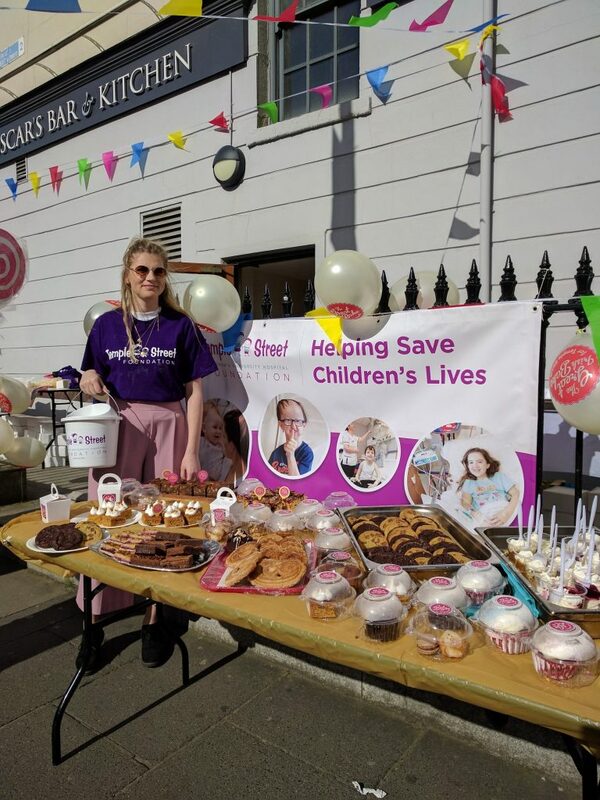 The day saw beautiful weather and the O’Callaghan Collection team had fun hosting the bake sale in front of Oscars Bar and Kitchen next to the Mont Clare Hotel. O’Callaghan Collection team having fun working together for a great cause. The O’Callaghan Collection team looks forward to this tradition every year. All proceeds from the bake sale go to a great cause- The Temple Street Foundation. The Temple Street Children’s Hospital provides care to sick children from all over Ireland. The foundation uses proceeds from this fundraiser to help with the costs of medical equipment, research, and life-saving technology necessary to care for and save sick children. 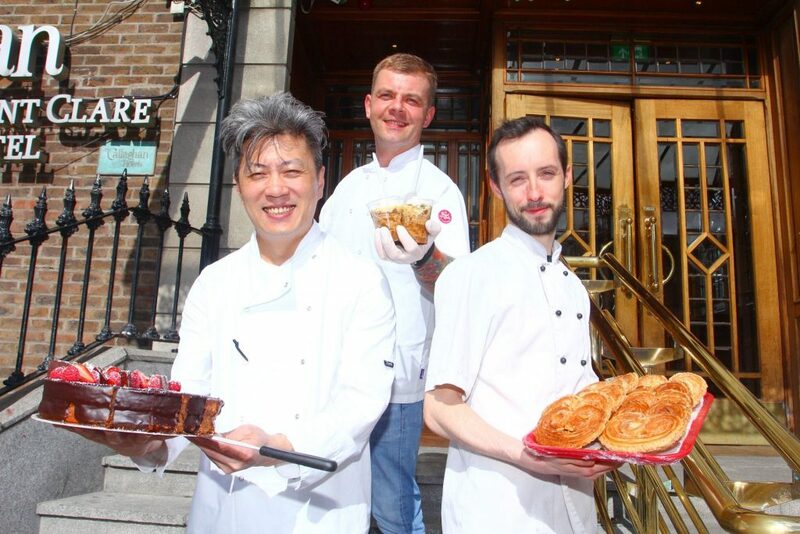 O’Callaghan Collection team members from all departments of the four hotels donated time and energy to make the 2018 Great Irish Bake off a success. The Davenport chef, Yordan, coordinated the baking for the event. The Davenport pastry chef, Maxim, The Green chef, Krys, and The Alex chef, Michael, all participated in baking a wide array of delicious cakes and treats for the event. The baked treats proved very popular, including various cakes, cookies, pastries, brownies, and much more. 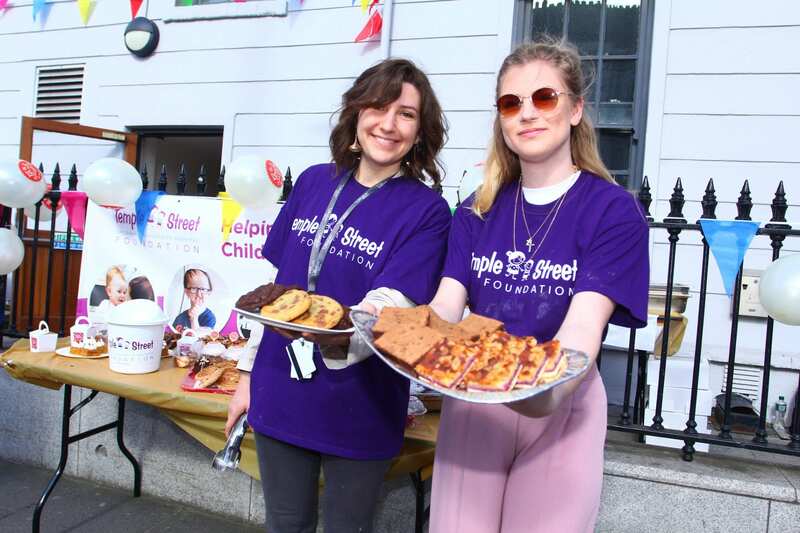 Thanks to the hard work of the chefs and the O’Callaghan Collection team, as well as the generosity of everyone who came out to the bake sale, the successful event raised €4,500 for the Temple Street Children’s Hospital Foundation. We are looking forward to next years Great Irish Bake Off! The O’Callaghan Collection includes four hotels in Dublin City Centre; The Alex, The Davenport, The Green, and The Mont Clare. Follow the O’Callaghan Collection on Facebook to find out more about events, specials, and the hotels.